Brief History of the Italian Language - From the 'vulgaris latin' to the Language of a New Nation. Brief History of the Italian Language. The Latins were part of the ancient Indo-European people and settled in the Lazio region around the second millennium BC. Lazio (Latium) was originally populated by Ausoni, Volscians, Equi, and Etruscan Falisci. 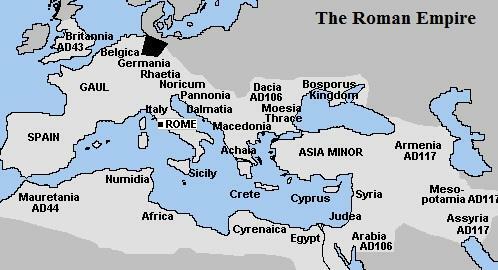 They founded Rome and became known as the "Romans"
They also established themselves outside the Lazio region (The Roman Empire) and spread the Latin language to the peoples they subjugated. So Latin, given the enormous size that the Romans reached (especially in the era of Augustus), became the sole language for most of the European peoples and, from year to year, depending on external influences, underwent several changes,especially the one spoken. 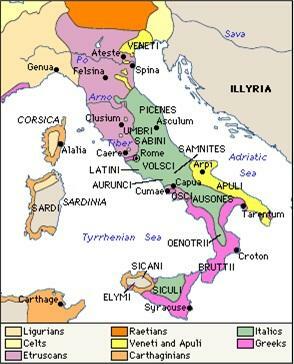 For example, in what is now known as northern Italy there was the influence of the Celts, while in the South there was the influence of the Greeks. Although the spoken Latin was heavily influenced by other languages the one written has always been stable and correct and remained similar to that of the classical age. After the fall of the Roman Empire (476 AD), Latin began to change even more and more. In the early centuries of the Middle Ages spoken Latin was only used by the intellectual class, the rest of the population did not know Latin and used it only for their daily needs' vulgar latin or sermo vulgaris'. 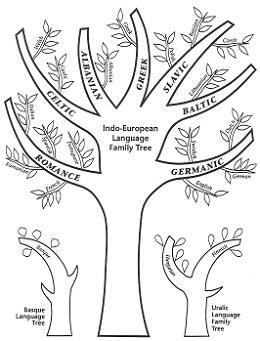 This external influence gave birth to severel other languages: French, Spanish, Romanian, Romansh, and Italian. These new languages ​​ developed throughout the areas in which Latin was originally spoken and gave rise to the current spoken group of Romance Language. The real cultural revolution began when these languages started to be used ​​for composing literary works. Of all the major Romance languages, Italian retained the closest resemblance to Latin than elsewhere, but with time it shattered into many different dialects that became known as "vulgar". 4 ) the fact that the origins of our literature is all in Florence. Dante, Petrarca and Boccaccio composed their works in the immortal Florentine vernacular. 1) "The riddle Veronese" written in the ninth century. d. C. and preserved in the Chapter Library of Verona. 2) "The Placido Capuano" of 960. This is a court ruling on a dispute over possession of some sort between the lands of Monte Cassino Monastery and some Rodelgrimo Aquino. 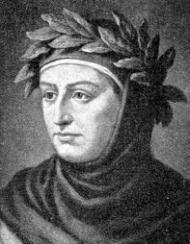 Dante Alighieri (1265-1321): Dante's Divine Comedy is one of the great works of world literature, and it was also proof that in literature the vulgar tongue could rival Latin. He had already defended his argument in two unfinished treatises, De vulgari eloquentia and Convivio. But to prove his point it needed the Divine Comedy, "this masterpiece in which Italians rediscovered their language in sublime form" (Bruno Migliorini). 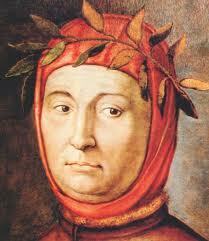 Petrarca Francesco (1304-74): was born in Arezzo, since his father was in exile from Florence. He was a passionate admirer of ancient Roman civilization and one of the great early Renaissance humanists, creating a Republic of Letters. His philological work was highly respected, as were his translations from Latin into the Vulgate, and also his own Latin works. But it is his love poetry, written in the vulgar tongue, that keeps his name alive today. His Canzoniere had enormous influence on the poets of the 15th and 16th centuries. This was a man from the rising commercial classes, whose Decameron has been described as a "merchant's epic" . It consists of one hundred stories told by characters who are also part of a story that provides the setting for the whole, much like The Arabian Nights. 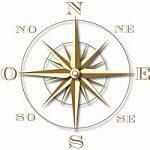 The work was to become a model for fiction and prose writing. 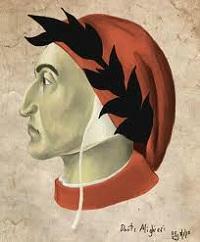 Boccaccio was the first to write a commentary on Dante, and he was also a friend and disciple of Petrarch. Around him gathered enthusiasts of the new humanism. 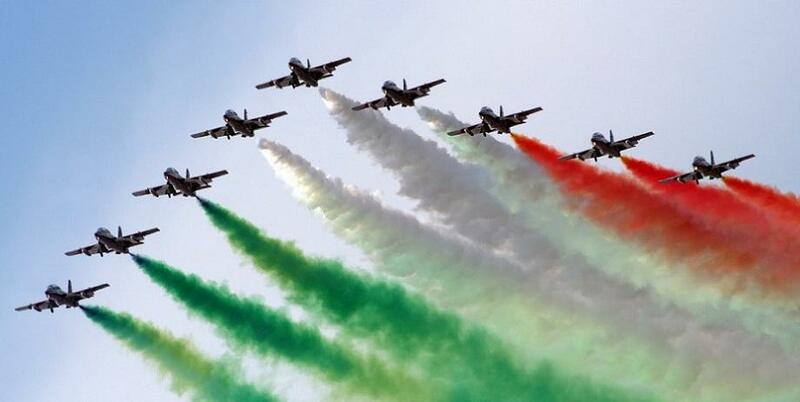 RECAP:The Italian language derives from the Latin vernacular. The Latin language has two forms: a writing and literature (literary Latin) used by the learned and educated people and a vulgar form or spoken (vulgar Latin) used by the vulgar, that is, by the people. In the second century AD C., at the time of its heyday, Rome had unified its vast empire from both a political and legal point of view, that is : imposed their own laws and language to the conquered peoples. The language that the Roman soldiers moved into the new lands was the vulgar Latin. With the fall of the Western Roman Empire in 476 AD C. under the barbarian invasions, the various types of Vulgar Latin existing in different parts of conquest, became so much to create new languages, all derived from the Latin, but each with its own characteristics. This was the origin of the "Romance, or Romance languages" (Italian, French, Spanish, Catalan, Romanian and Latino). Carlo Buti (Florence, 14 November 1902 - Montelupo Fiorentino, 16 November 1963) was an Italian interpreter of popular and folk music. He was known as "the Golden Voice of Italy", and was possibly the first superstar of Italian music in the twentieth century. He recorded 1574 songs during his career. Fast forward : The lack of any central authority until the second half of the XIX century did not contribute towards any linguistic unity in the Italic Peninsula, though the achievements of the writers of the Middle-ages and the Renaissance helped to give Tuscan a leading start. The Unification of Italy in 1861 and the creation of the Kingdom led to the adoption of Tuscan, until then the language of the Tuscan higher classes, as the national language. This was a remarkable step, as only a minority could speak this rather artificial (much as Classical Latin was) language and it was only recently that most Italians began to master it. The Italian presence as an imperial power in Northern Africa from the late XIX till the misadventures of the Fascist Period, when all colonies were lost, contributed to the spread of the language in countries like Libya, Ethiopia an Somalia, where it still retains a foothold as a language of commerce. Even today dialect is very much alive and widely spoken, though virtually all Italians speak the standard language also. This use of dialect, causes foreigners who are learning or already speak the language, to feel they cannot understand Italian, when, in fact, they may be listening to “Friulano” or Sicilian. The "Italian" which is spoken in countries such as Canada, the USA, Brazil, Argentina and Australia is not, however, the standard Italian language, but is more often dialect, as the immigrants were illiterate peasants who were fleeing desperate conditions in their home country and often were not able to speak standard Italian.